Am still here. So's my sewing machine. I'm making clothes. Not very exciting clothes, true, but they're coming along. 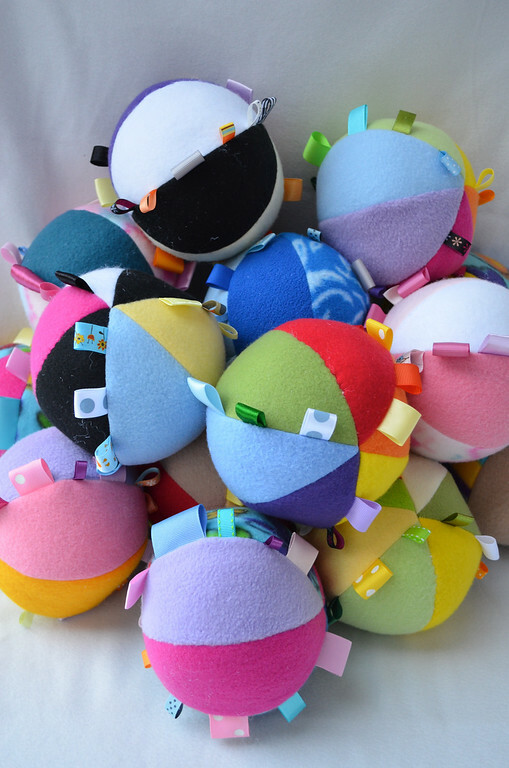 Wanted to pop back in and respond to the pins and requests for a pattern for the ribbon/tag balls in the last post. When I first opened my etsy shop some years ago, I wasn't planning to stock it with toys and dolls and/or patterns. 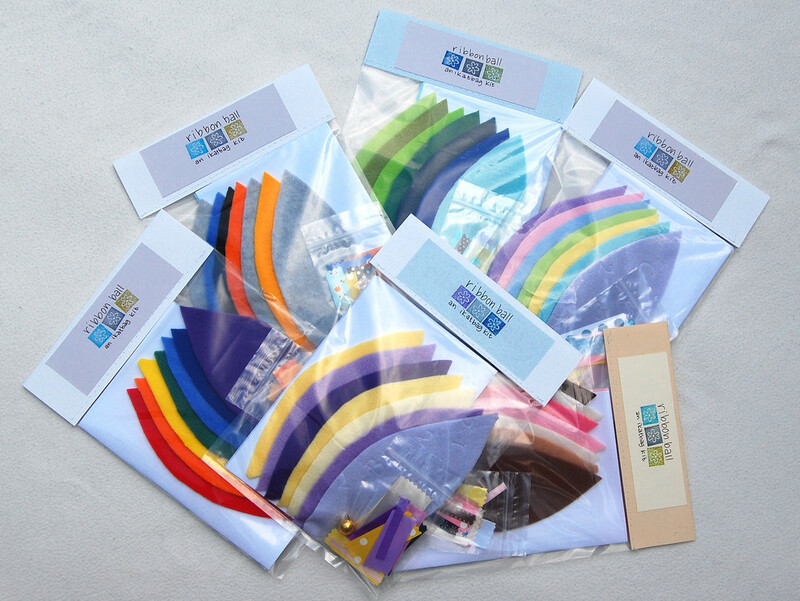 I'd actually wanted to make kits because I liked cutting pieces of fabric out and packaging them in ready-to-sew bags for other people. Did I just say that I liked cutting out one million pieces of fabric? And one million pieces of ribbon? I know - I was bonkers. But I'd just had a baby, okay? I left my brain at the hospital. Anyway, while I don't have a pattern or a tutorial for those balls, I do have a few kits left from that first batch if anyone is interested. instructions, of course. No photos- just nice clear diagrams and text. It does not come with stuffing. You provide that, and the thread, and the sewing machine. The price is $9.50 plus shipping ($2.00 domestic; $3.00 international). The balls are 5" in diameter when finished. If you're interested, just email me and I can re-list the kit you want. The balls are cute. My wife is pregnant with our 4th child and is now in that sit down and find toys for the baby phase. I made one of these using Lier's kit. It was perfect. I highly recommend getting one before they are gone! Could I get princess, winter & spring from you? ;) is it easy for sewing noobs? Mel, can you email me at lier.koh@gmail.com so I can reply when I get your listing up? Winter and Spring are gone, but I 'll save Princess for you. Do you want any others? I can list them together and do discounted shipping. And yes, they are easy to make (and fast)! hello, do you still have any of this kits left?